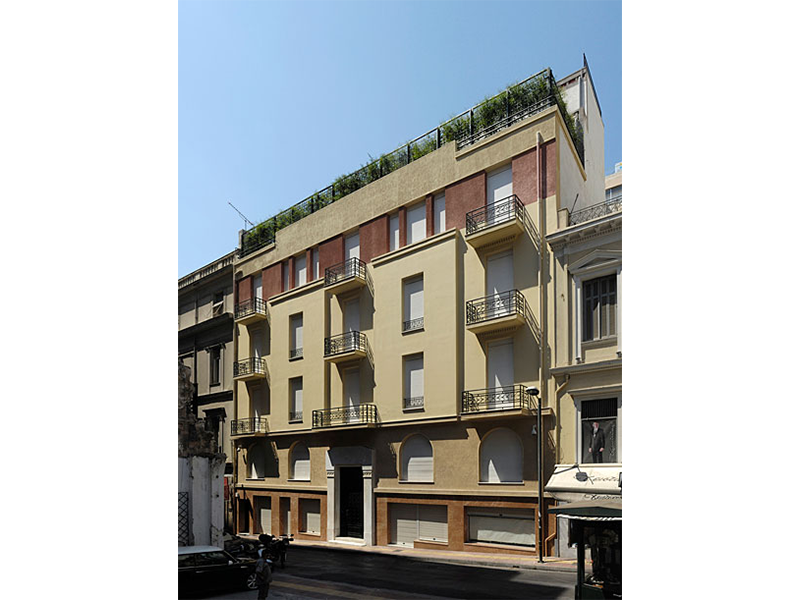 The building at 3 Kriezotou belonged to the artist N. Hadjikyriakos-Ghika, and donated to the Benaki Museum. The original building, ground floor and 5 upper floors , commissioned by Al. Hadjikyriakou around 1932 and designed by Konstantinos Kitsikis, architect and professor at the National Technical university of Athens. It is a typical example of the architecture of the interwar apartment block. The building remains the residence of the artist, occupying two floors, with all the painted walls and floors maintained, but all the necessary comfort and security systems that are required for the hospitality of the public (air conditioning, ventilation, fire detection, alarm system) were installed. SERVICES: Detail design and supervision of all MEP installations.